It's not "Whole Paycheck" anymore. My freshman year, I shopped regularly at Whole Foods since I could using my dining dollars there. I was giddy at the prospect of a virtually unlimited shopping spree at one of my favorite grocery stores and bought everything that caught my eye. Then came the total at the register—my spree added up to a whopping $87.98. After that, I began spending my money more carefully. Though some of my friends opted to shop at Trader Joe’s rather than Whole Foods, I found that many things were cheaper at Whole Foods. Whole Foods also has coupons, which Trader Joe’s doesn’t offer. And Whole Foods has organic, trustworthy, high quality food, which again, Trader Joe’s doesn’t really offer. 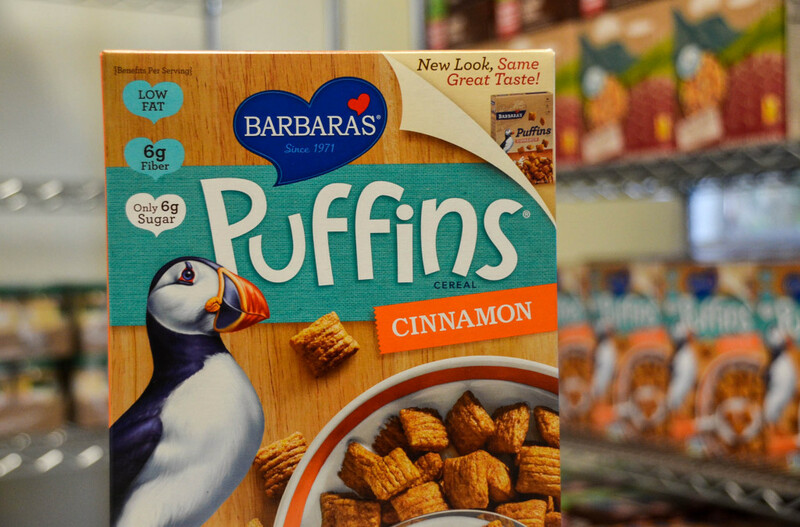 Although Trader Joe’s has its own brand of cereal that is fairly cheap, if you’re looking for non-store brand healthy cereal like Kashi and Puffins, you’ll find a better deal at Whole Foods. 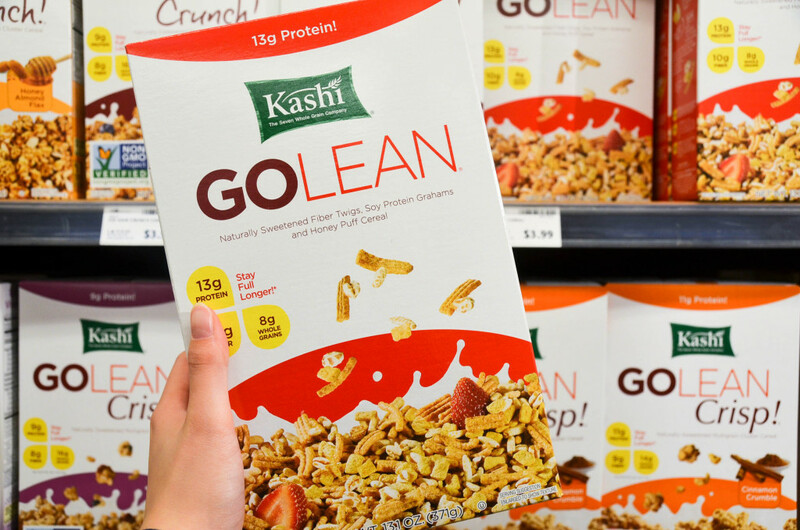 Kashi is cheaper at Whole Foods and Barbara’s cereals are the same price at both stores, but you’ll often find a bigger selection at Whole Foods. 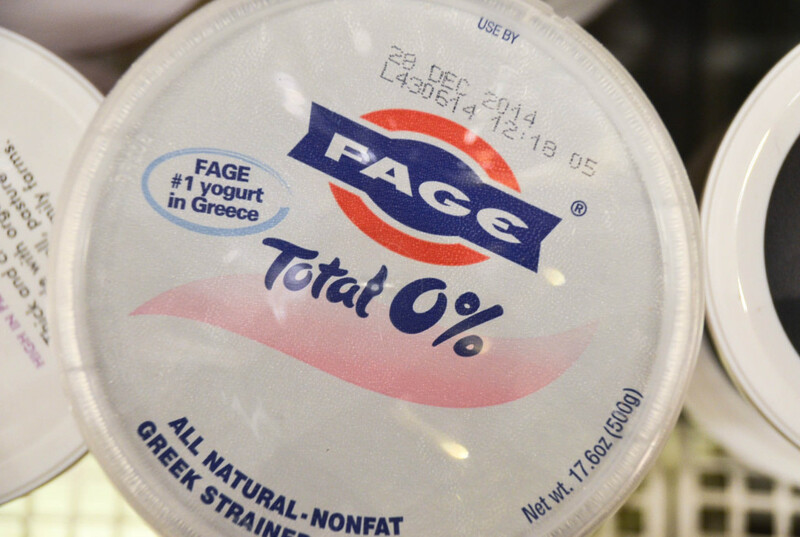 FAGE Greek yogurt is some of the best Greek yogurt out there, with many saying it’s the most authentic tasting. Personally, I like it because it’s the thickest Greek yogurt I can find. FAGE can get expensive, however. In this case, Whole Food’s FAGE yogurt is significantly cheaper. They typically have a 2 for $6 promotion or have bigger sizes than Trader Joe’s, which is ideal for anyone with a Greek yogurt addiction like me. Quinoa is one of the most well-known superfoods, but it’s more expensive than rice. 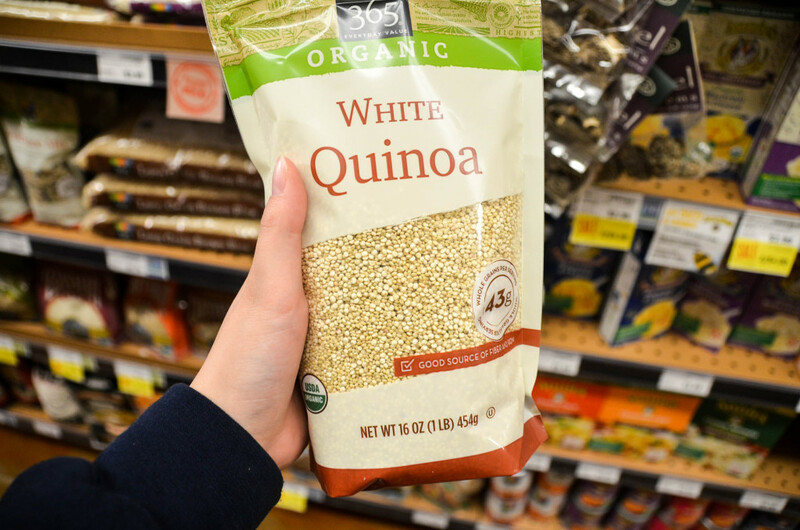 For organic quinoa, Whole Foods is your best bet. You can by it by the bag or you can buy it from the bulk bins. Generally, bulk bins are good because they allow you to control the amount you purchase. The prices are also usually cheaper. Beans are a great source of protein for vegetarians and a cheap source of protein for everyone in general. 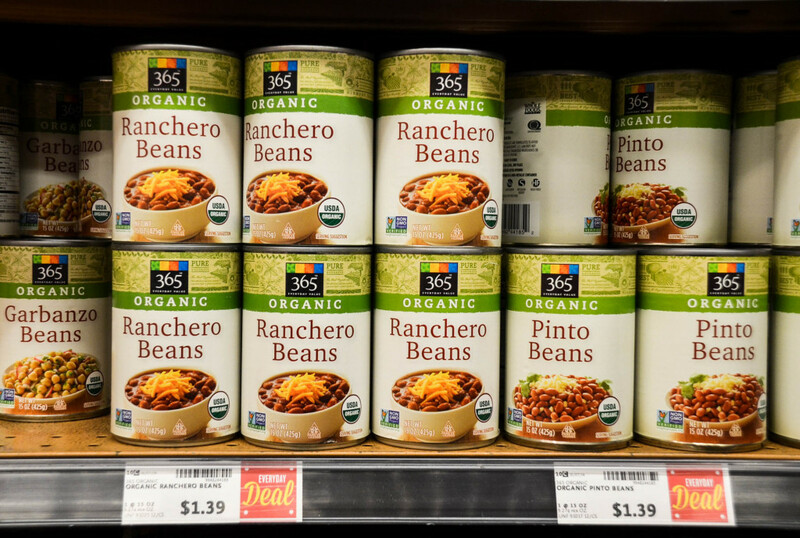 For normal canned beans, Trader Joe’s is cheaper. But if you want organic canned beans, Whole Foods is the way to go. Dried beans are also cheaper at Whole Foods since they are available in the bulk bins. With many of us choosing to drink non-dairy milk for health or lactose-intolerant reasons, demand for milk alternatives has been soaring. 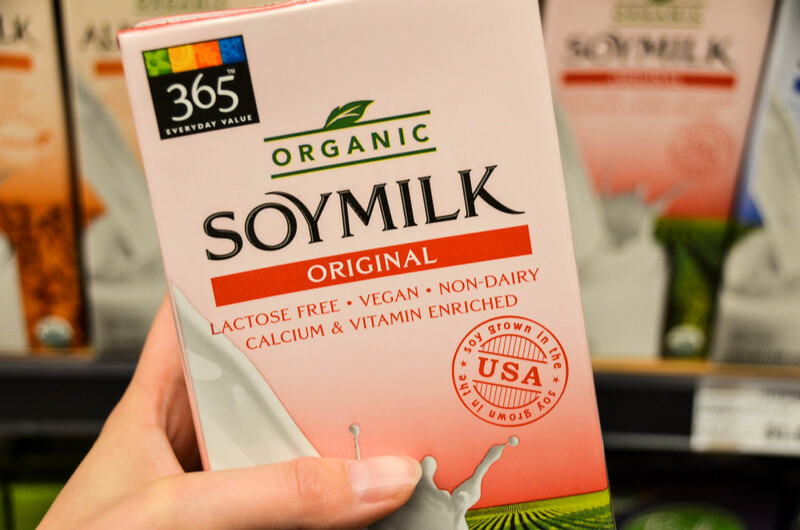 With soy milk especially, you want to try and choose organic. 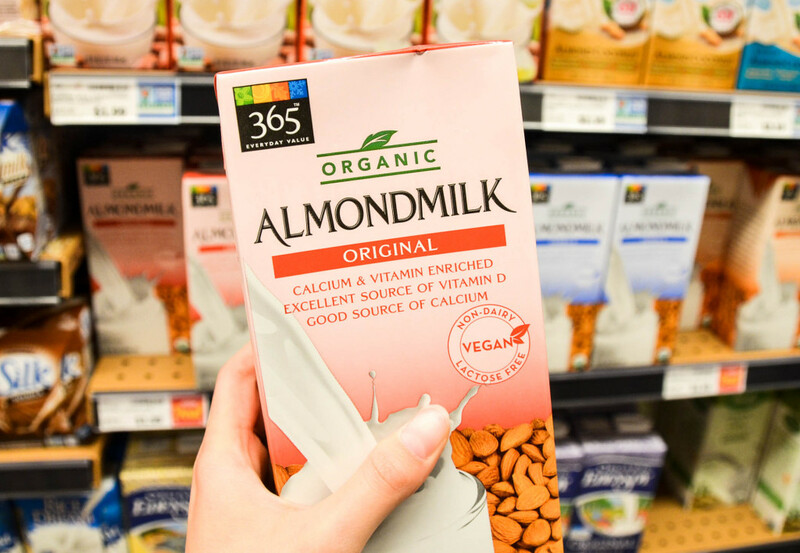 Blue Diamond almond milk is the same price at Trader Joe’s and Whole Foods, but if you choose Whole Food’s 365 brand of organic almond milk, you’ll save money. Nut butters are staples for college students- how else would we make peanut butter and jelly sandwiches? Besides, they’re a good source of healthy fats and help boost your energy before and after a workout. 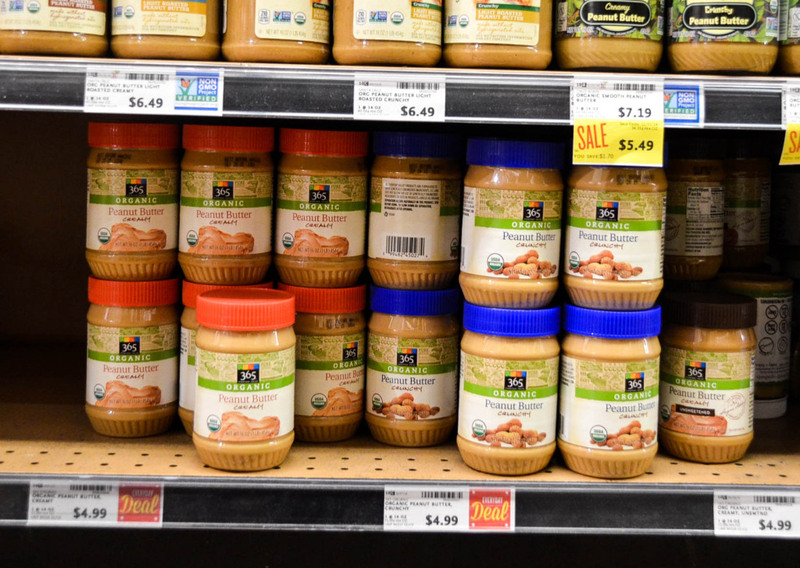 Almond butter is the same price at Trader Joe’s and Whole Foods, but Whole Foods’ store brand peanut butter comes in a bigger jar for the same price. 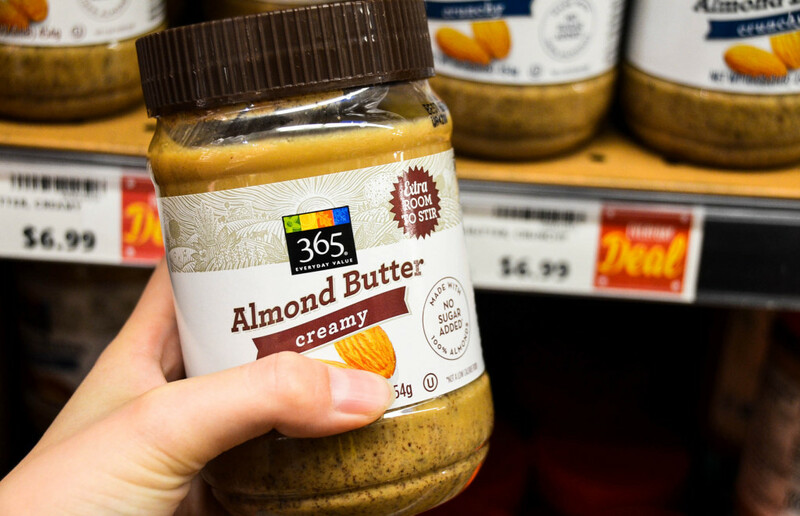 Whole Foods also gives you the option to make your own nut butter, ensuring fresh quality. It also means you can pick exactly how much you want to get. It also means you can try fun flavors like honey-roasted peanut butter for the same price. Rice cakes are good for snacking- they’re low calorie and satisfy your need for something crunchy. Although the Lundberg brand of rice cakes are cheaper at Trader Joe’s, Whole Foods has the cheapest brand of rice cakes (Mother’s Rice Cakes). The key to cheap hummus is buying store-brand. 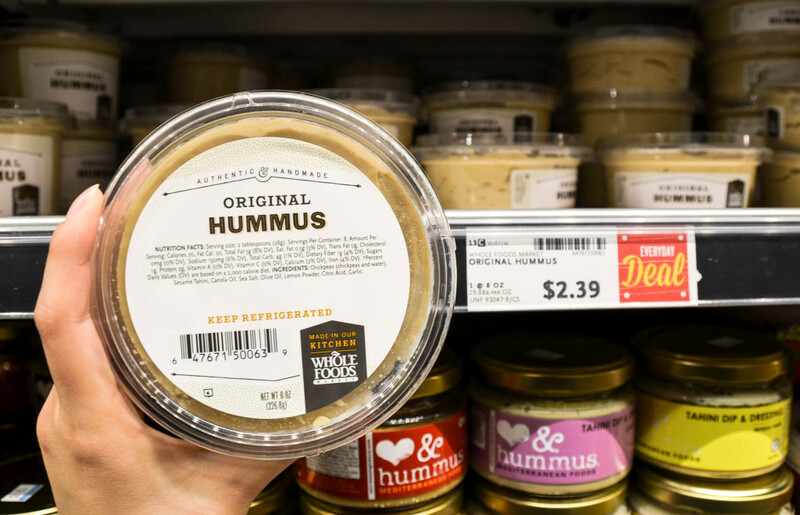 Both Trader Joe’s and Whole Foods sell their hummus for $1.99 each, which is cheaper than every single non-generic brand of hummus. Going gluten-free? Go with Whole Foods. Looking for regular pasta? 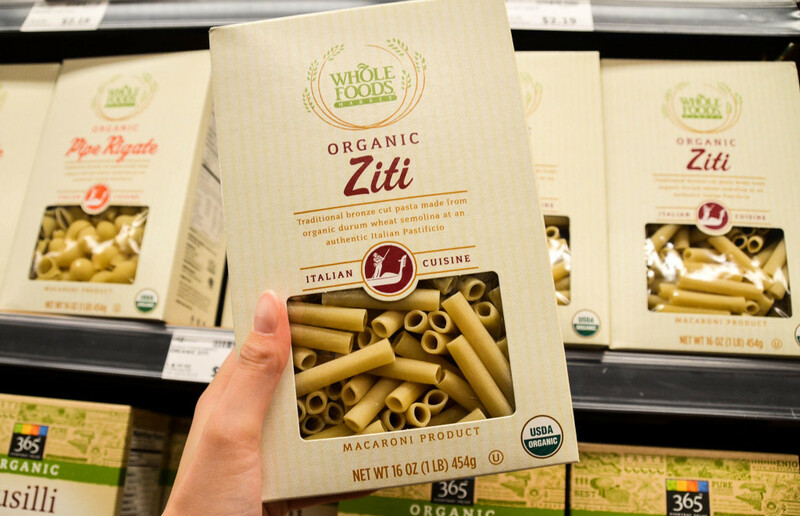 Whether it’s whole wheat or not, Trader Joe’s and Whole Foods have the same prices on their store-brand pasta. 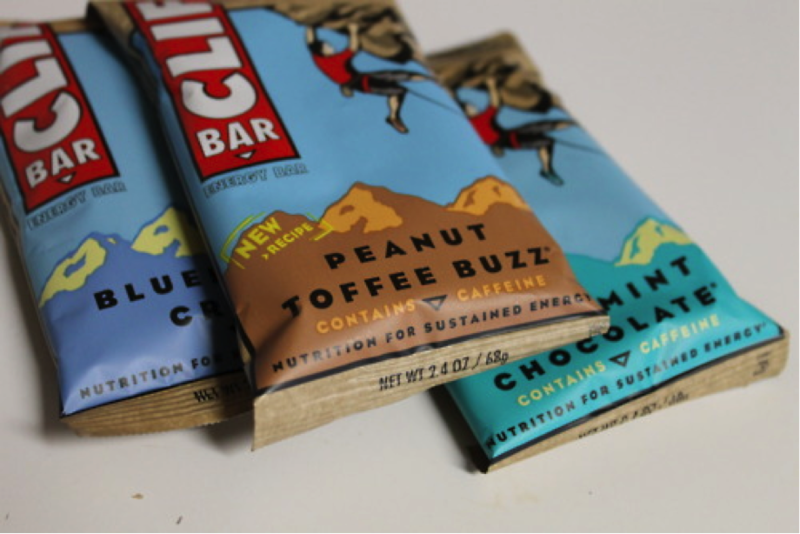 Clif Bars, KIND Bars, Larabars, cereal bars…the possibilities are endless. If you’re looking to get your granola bar fix, go to Whole Foods because of their bulk discounts. Although individual bars are comparably priced at Trader Joe’s, Whole Foods offers 10% off when you buy an entire box.